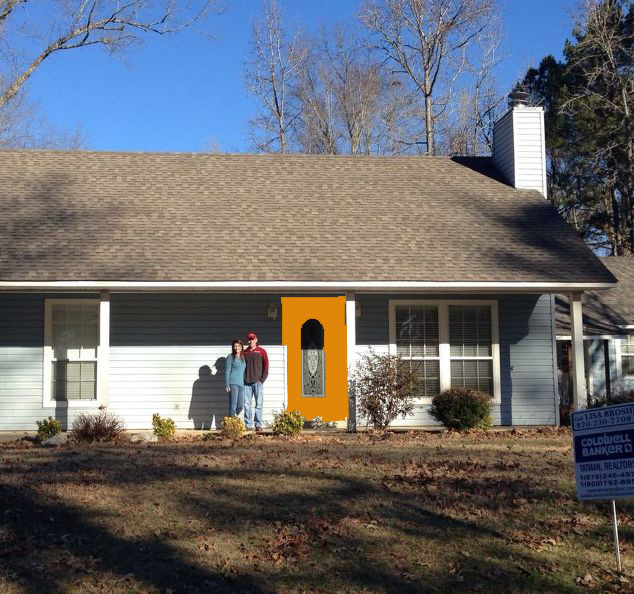 I really want to paint our door to give the front a pop. Only problem is, I have zip-zero-zilch in the inspiration corner. Our little blue house and the door itself give me major stumbling blocks. So, I figured I would put my not-so-great photoshop skills to use and test try a few colors. Our siding is a similar color and we did yellow a few years ago – it looks great!! I do love the idea of teal, though. Teal is my first choice and eggplant is second!